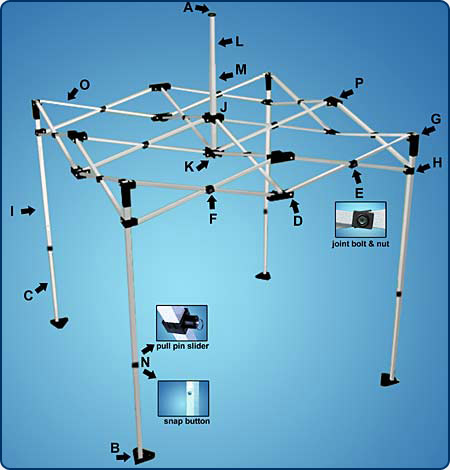 At UK Instant Shelters we have designed all parts of our products with simplicity in mind. From mixing and matching parts with another type of shelter, to repairing and adjusting your UK Instant Shelter, we have tried to make the job as easy and straight forward for you to complete as possible, with a focus on common sense and ingenuity, with no need for complicated and confusing instructions. H Slider Bracket (2-way) with ring, spindle, etc. Have you accidentally damaged your shelter?